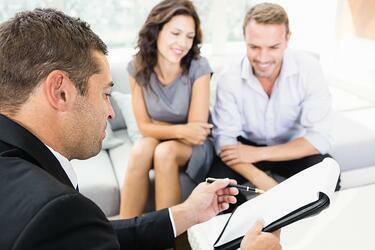 When making investment decisions in the ever-evolving world of real estate, there is much to be considered. Common pitfalls must be avoided to ensure a successful investment. One of the mistakes that property owners and investors often make is over-investing in their property. Initially it seems reasonable to expect that investing money into additions and upgrades to your property will make it more marketable and yield a considerable profit, but this is not always the case. If you are looking at purchasing a property to renovate, re-sell, or convert to a rental, it is important to know up front just how much value you can truly add to the home without inadvertently taking a loss. One of the quickest ways to determine this is to look at the value of the other homes in the neighborhood, then assess which of these has the highest value. As a general rule, you will not be able to increase the value of your investment beyond the value of that property, regardless of additions or upgrades. It is often difficult for your potential buyers to secure mortgages on homes that are listed at prices significantly higher than those around them. Likewise, it is hard to find tenants who will pay higher rent than what other landlords in the area are asking. Because mortgage lenders generally require issues of this magnitude to be addressed regardless of cost, these repairs often fail to increase the overall value. A third point to consider is whether or not the home does in fact need upgrades. If a property already has amenities such as granite countertops, hardwood flooring, or efficiency windows for example, there may not be too much room for improvement. This scenario may work well as a rental investment, but offers little to no potential for additionally increasing property value. By considering these points, you can answer many of the questions you may have about the potential of an investment property. If you are looking to purchase in the future, please contact us at Trust Deed Capital to find out how we can help you secure the funds you need to move forward with your next real estate investment.